The smaller the business, the smaller the risk – it is the misconception that often leads to the demise of small businesses. They miss out the most important part, the part about the size of the consequences and impact. For a small business, even the smallest threat can prove fatal. It is why cybersecurity is no longer a problem they can ignore. As a matter of fact, cyber attackers seem to be indifferent about the size of your business. On average, a single breach can cost more than 3 million dollars. Small businesses do not have the financial cushion to survive such a catastrophe. Unfortunately, only 10 percent of the SMBs taking part in a survey revealed to have invested enough in cybersecurity. Most of them do not have a single IT staff member and many don’t even use third-party services and solutions. The question is why do small businesses underestimate the risk and do not prioritize cybersecurity? According to experts in cybersecurity, Virginia, it is the lack of awareness regarding the threats they face. Many small businesses are oblivious of the threats that may be just an email away from them. It could be because cyber threats keep evolving and attackers are constantly coming up with new ways to breach. It is possible to fortify your security by identifying the biggest threats you currently face. For starters, here are the seven biggest cybersecurity threats small businesses should build a defense against. Ransomware attacks are the most common cyber attacks and they are constantly on the rise. By the end of this year, the total hit caused by ransomware attacks will reach 11.5 billion. It is predicted that there will be a new ransomware attack every 14 seconds. You can be the next victim. Ransomware attacks do exactly what it sounds like. The attackers access your data and hold it hostage until you pay a ransom. Sadly, those attackers love small businesses for two reasons. First, they have sloppy security. Second, they are more likely to pay the ransom as compared to larger corporations. Whether you pay the heavy ransom or bear the loss of data, ransomware attacks can kill your small business. Speaking of cyber security threats for small business, phishing scams stand neck to neck with ransomware. The malware can access your network through spear phishing emails. Once any user clicks on the email, the attackers can access the network and all the data stored on it. This includes sensitive information such as user IDs and passwords. According to a recent report, there are around 400 phishing attacks every day, and nearly 30 percent of them are successful. Small businesses make for the majority of the victims. By that calculation, a business is likely to receive around nine malicious emails in a month. What’s worse is that similar attacks are now using different channels such as text messages and phone. So, aside from phishing, small businesses also need to stay wary of its younger siblings, Smishing and Vishing. BYOD is a trend that offers flexibility to businesses and employees alike. Small businesses are more likely to embrace the trend as it helps them save cost and time. However, when employees bring their own devices and connect them to the network, they expose the network to any virus or malware lurking on their devices. BOYD increases the threat level for businesses and the only way to prevent any misfortune is to have strict BYOD policies in place. Make sure all the connected devices have proper anti-virus and firewall installed. Not to mention, BYOD also offers dishonest employees an open opportunity to steal sensitive data off the company’s network. In other cases, the data will also be compromised in case the employee’s device is stolen or lost. Do you want to experience a cyber attack? There is an app for that. There are millions of apps on the app stores and not all of them are as secure as you believe. When installed, these apps can access a lot of personal data. Attackers create a fraudulent app to breach the network through mobile phones connected to the network. Since it is common for employees to connect their mobile devices to the company’s network, one fraudulent app on one employee’s device is enough to compromise the entire network. Just like in the case of BYOD, there should be policies to make sure all personal mobile device are secure and protected before an employee connects them to the network. It is sad that many small businesses still rely on old-school authentication method. No wonder 1 in every 5 puts a business at risk due to a weak password. This means a large majority of small businesses face this threat just because they do not encourage their employees to have a stronger password. Employees use common passwords that are easy to guess. Thankfully, there are many ways to improve your company’s authentication process. You can use a two-way authentication method that doesn’t just rely on passwords alone. Biometric authentication is also an effective solution to prevent this kind of cybersecurity threat. Moreover, there should be policies to encourage a regular change of passwords by all employees. Many small businesses perceive DDoS as a thing of the internet’s past but they are still common. In fact, the frequency of DDoS attacks doubled in 2017 and continues to grow in 2018. 20 percent of the victims were small businesses. DDoS attacks don’t just compromise your data, they compromise the quality of service you offer. The attack comes from multiple sources and floods your web server with messages and requests. This load of incoming packets can slow the servers down and even cause the website to crash and malfunction. Consequences aren’t limited to loss of data as many businesses end up losing customers and revenues. The final and the most dangerous threat for your business is the lack of awareness. Businesses, no matter how small, require cybersecurity awareness on every level. Each and employee must be trained for responsible use of the internet. They should be able to identify threats hidden in emails and any software they install on their devices. They should be able to create better passwords and must follow policies pertaining to information sharing. As a business owner, you should also seek more awareness and guidance in this regard. You should understand that it is impossible to ward off all those threats without a proper strategy created and managed by professionals. 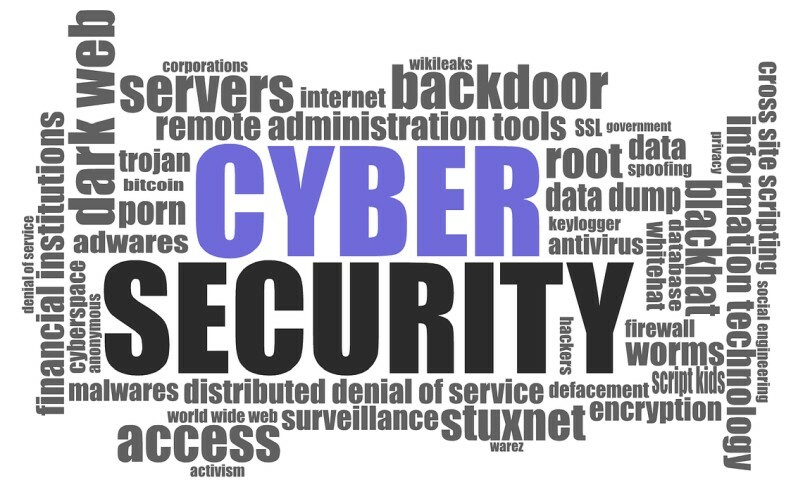 You need either to hire a competent IT security resource or to seek services from a cybersecurity company. The latter is usually a better option since small businesses often lack resources and space to fully accommodate an IT staff. Cybersecurity threats are real and they are riskier for small businesses. Your business may be just a click away from absolute destruction. The first step towards improving your cybersecurity is to understand the nature of threats your business is exposed. Invest in proper employee training and rely on professionals to protect your business against all the aforementioned threats.